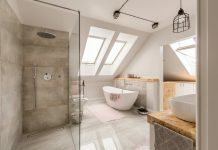 There’s so much that goes into a bathroom remodeling project that unless you’re a professional who does it every day — or a homeowner who’s been through the process numerous times — then all the nitty-gritty details, processes, options and decisions are going to sound like they’re in a foreign language. But that doesn’t mean you shouldn’t prepare for the test. 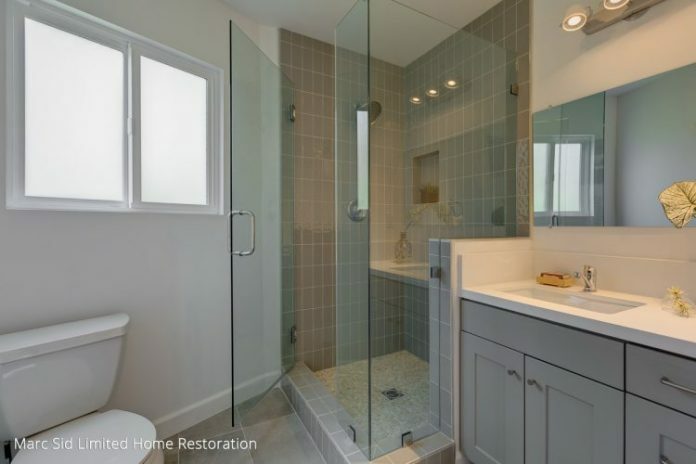 If you’re tackling a bathroom remodel project, having a working knowledge of what to expect and what to consider can make the difference between a months-long waking nightmare ending in a bathroom that you settle for or a near-pleasant experience resulting in the room of your dreams. 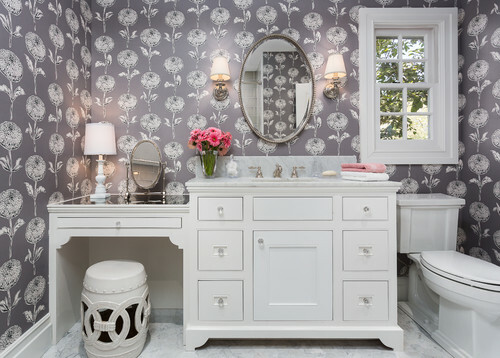 Consider the following collection of tips from popular bathroom remodeling articles on Houzz your cheat sheet for finals week. You’ll be happy you prepared. 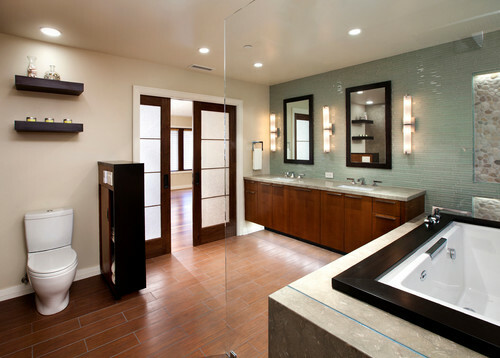 Know what a bathroom remodel costs. Before you begin any project, it is important to put your expectations into perspective when it comes to how much money you’re willing to invest. The size of your bathroom, the quality of materials you want to include and whether you’re planning to do some of the labor yourself all can affect the cost of a remodel. Here’s a look at estimated costs for a basic, mid- to upper-range and deluxe bathroom remodel. Don’t make the toilet the first thing you see when open the door. Ask a bathroom designer what his or her best tried and true tip is, and this is what you’re likely to hear. The reasoning is simple. Oftentimes bathroom doors get left open, meaning that you or any guest in your home walking by will see the toilet — which, come on, isn’t the most aesthetically pleasing thing to look at. If you’re hoping for a spa-like vibe, putting the john front and center in the design can sort of kill the mood as you’re transitioning into the room. So, what should you make the focal point? Anything but the toilet. Consider leaving those vintage finishes. The point of your bathroom remodel might be a fresh, new look, but some things are easier to replace than others. For example, in older homes, wall tiles may have several coats of concrete and maybe wire lath. The difficulty in removing these can cause labor costs to skyrocket. Instead, you might want to keep the vintage tiles and spend your time and money elsewhere. And vintage finishes such as tile can be a cool feature as well. Plan a lighting scheme. The best approach to a well-lit space is to incorporate layers of task, accent, ambient and decorative lighting. Understand standard bathroom dimensions. Knowing a few key measurements, like the size of a typical bathtub and how much space is needed for a toilet, will help you plan your remodel more efficiently. Plan the right height for your sink. Typical countertops are 32 to 34 inches off the floor. But you need to consider how your sink will add to or take away from the countertop’s height. If you have an above-counter vessel sink, for example, you’ll want to make your counter height lower so you can wash your hands or brush your teeth comfortably. Consider a corner sink. If you’ve got a tight space with potential traffic-flow problems due to how the entry door or shower door swings open, then consider putting your sink in the corner to free up space. Or a tiny tub. If you’ve got a small bathroom, you may think that a bathtub is not an option. But many companies are shrinking their models down to accommodate chic little spaces. Pick the right vanity. Vanities aren’t just for looks. Get one too big and you could mess up your bathroom’s traffic routes. Too small and you’ll be scrambling for more countertop space and storage. Pick the wrong material and you could have maintenance issues on your hands. Think about converting your tub to a shower. If you don’t take baths but have a bathtub, that’s basically a 5-foot by 2½-foot area that’s going to waste. Converting it to a shower would be cost effective, because it would make use of the space that’s already there and you wouldn’t have to reroute the plumbing. Install a toilet yourself. The costs of installing fixtures also adds to the cost of a remodeling project. One thing that many homeowners can do themselves is hook up a new toilet, which can take just one hour. Have more than one way of drying out your bathroom. Reducing mold and mildew begins with removing moisture. To do that it’s best to have a multifaceted approach: a great fan that vents to the outside (not into an attic) and an operable window. Pay attention to how hardwood meets a tile floor. Chances are, your bathroom will have a tile floor, but the hallway or room it’s connected to will have something totally different, like hardwood. The transition between these two spaces and materials is something that’s tough to get right. As in most cases, planning ahead will give you results that meet your expectations. I love interior design and all things about houses. It has been my great privilege to create spaces over the last fourteen years for a varied and loyal clientele. Shower Debate: Curtain or Glass Shower Door? I like what this article recommends about converting a tub into a shower. It makes sense that this could be beneficial as it would allow for less area to be taken up. It’s something to remember for my bathroom because I never even use the tub so having it as a shower could be a great way to save space. Nice post! 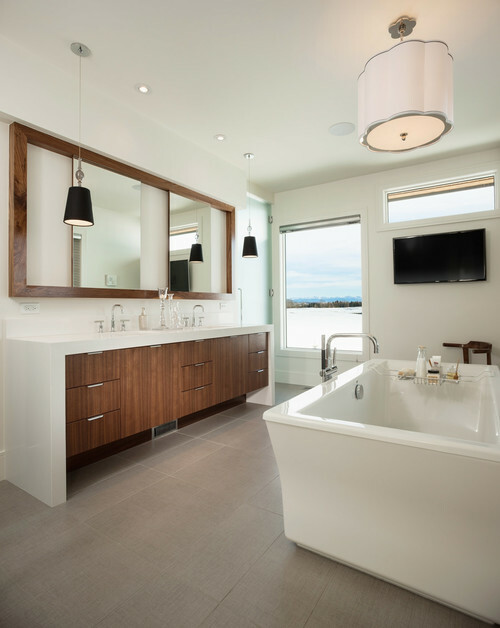 These are the amazing and helpful tips for renovating the bathroom in the better way. Thanks for sharing such an important thing with me. The most I like here is about the ways of drying out our bathroom. And also converting bathtub into shower. If we are not using that frequently, that is really space saving. Thanks you for sharing this knowledge with me.